Just looking to help make a difference? Jump right to the call to action! In Part 1 of our story, we left Tim wondering how to commute by bike with his baby daughter and left Shirley stranded with her children trying to cross Seattle’s most dangerous street, Rainier Ave S. In Part 2, we’ll explain how to rescue them. The city has a good plan. 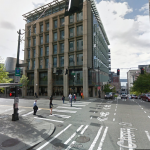 The bike implementation plan pretends downtown doesn’t exist. The city makes no commitments to connect our major job center and our densest neighborhoods. Less is being built after passing the Move Seattle Levy than was originally projected before the levy was passed. This may be due to simple over-promising, but now people like Shirley and Tim are understandably disappointed. It seems that the routes which have been selected to be developed first in neighborhoods are low hanging fruit rather than the routes people need most to be able to safely get around. So what would a robust implementation of a bike network look like? Our city is growing fast. Our urban villages, the places our city has designated to grow the fastest, desperately need better transportation connections. We must build a network of trails, protected bike lanes, and neighborhood greenways that link our fastest growing neighborhoods together. We must provide safe, time competitive, and comfortable routes that entice people of all ages and abilities to try biking for some of their daily transportation needs. We can build this. 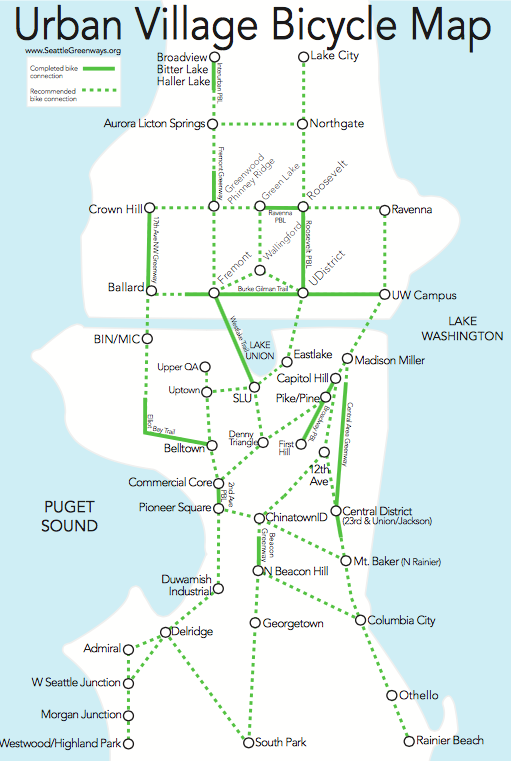 This represents about 60 miles of high quality safe routes for biking – or about the same number of miles the Move Seattle Levy promises over the next five years. We can’t wait any longer to build a network downtown. We can’t wait any longer to build the important routes that people like Shirley and Tim need most to get between neighborhoods. Join us and the Cascade Bicycle Club in calling on the city to improve the bicycle implementation plan! What: RSVP Bring your sack lunch & your bike to City Hall at 12 p.m. Let Seattle City Council know we can’t wait longer for safe connected streets. Help fill the main 5th Avenue entrance of City Hall with your bikes and write postcards to Seattle City Council telling your stories. When: Tuesday, May 17 at 12 p.m.
What: RSVP to testify on Tuesday at 2 p.m. at the Seattle City Council Transportation Committee to let Council know we can’t wait for safe streets. Cascade will help you sign up to exercise your democratic rights to speak to our elected leaders. When: Tuesday, May 17 at 2 p.m. Arrive at 1:45 p.m. to get on the speaking list, meeting begins at 2 p.m.
Really fired up? RSVP now!